【City of Sapporo】Winter Sports City, Host city for 2017 Asian Winter Games! Hello, everyone! My name is Minji Son and I have been working as a Coordinator for International Relations for the City of Sapporo since April 2014. I come from Daegu, known as one of the hottest cities in Korea which sees very little snow compared to the rest of the country. That is why I love Sapporo for its sheer amount of snow and its active winter sports scene! Among these sports I recently discovered curling. The first time I saw curling was during the 2014 Sochi Winter Olympics on TV – watching the stone being thrown and athletes madly sweeping at its coming path gave the impression of billiards or bowling on ice. After witnessing such a sport I felt the urge to try out it myself, though never really found the opportunity. 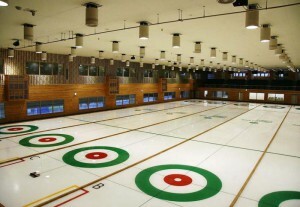 But this June the chance finally rolled around at　Hokkaido Bank Curling Stadium. This stadium opened on September 15, 2012 as a facility for providing the opportunity to enjoy winter sports, hosting a slew of international tournaments and even offering visitors the chance to experience the sport for themselves. I had this image of curling as an easy sport that pretty much anyone can do – just have one athlete give a stone a simple toss and several others do a little sweeping in front until it arrives right near the bull’s-eye. But in giving it a try myself I found that even using all my might I couldn’t get the stone halfway down the lane, and when I tried to mimic the sweeping motion of the professionals I couldn’t even stand upright on the ice. In spite of waking up to very sore arms and legs the next morning, it was great fun trying out a sport I had only ever seen on TV. Next time I think I would like to put together a full team of four and try it properly. 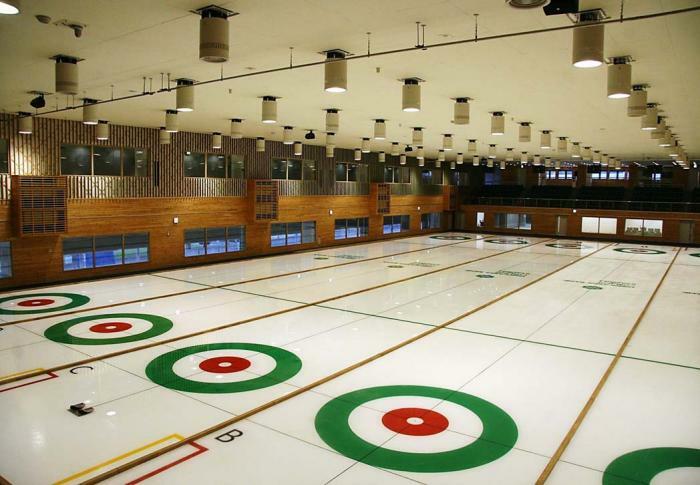 Two years from now the Hokkaido Bank Curling Stadium will be one of the competition venues for the 2017 Asian Winter Games. These Games were established to promote and develop winter sports among Asian nations and up the overall playing level. Roughly 1,500 athletes from 30 countries and regions will compete at these 8th Asian Winter Games, which is expected to be the largest turnout in the event’s history. Be sure not to miss it!